If you are thinking, "Renee, you've now totally lost it. Bemidji can't move. It's a city. HELLO! Bemidji could change it's name, but in this particular space-time continuum, as it exists today, Bemidji most certainly cannot move." If that is what you are thinking about the title of this blog installment, you'd most certainly be exactly right--Bemidji can't move, but we most certainly moved Bemidji. Wondering how all that works? Let me explain. We had our insurance continuing education classes for Bemidji at beautiful Ruttger's Birchmont Lodge scheduled for July 26 & 27 for 2017--and I mean "beautiful". Just look at the photo to the left which is shot from the steps right out of our meeting room, and by the way, unlike most meeting rooms, this one has wonderful picture windows so we can enjoy this view while in our insurance CE classes. As always, I was pretty excited about instructing our CE courses at this location and especially about teaching these CE classes on these dates. You see, this meeting followed my birthday and this is a pretty great location to celebrate...until something else (and someone else) moved me. To better understand, I've been planning an extended vacation to Italy as a special birthday celebration for years. Frankly, I'd love to move in over there for at least three months, but all I could squeeze out of my schedule was three weeks. Which really, in truth, three weeks is still pretty darn good. This was all scheduled for the first few weeks in August. I was going to have my birthday and then teach in Bemidji. Right there, that would make for a pretty awesome birthday week--just look at that view to the right of the beach at Ruttger's. Then I'd head to Europe for three weeks. Upon my return, I'd help my darling daughter back to college for her Sophomore year. I could make all this work, and work fabulously, if only Bemidji would move! If you are following me here, I am not talking about Bemidji, Minnesota making a geographic move to another location, but instead if we could move the dates we are hosting our Bemidji classes my whole summer plan would still work and maybe even work better. We only had a handful of agents scheduled at this early date so I went about trying to "move" Bemidji. 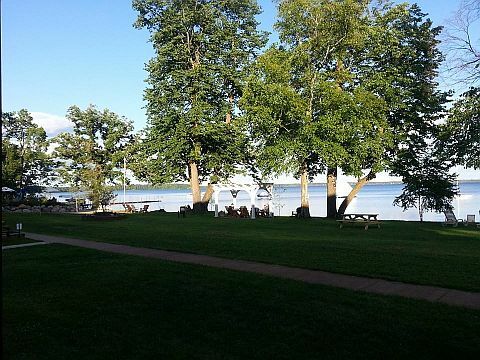 The new dates for Bemidji to move, August 15 & 16, were available at Ruttger's Birchmont Lodge. Whew! That was an excellent sign that Bemidji might actually move. After contacting those enrolled, about half could easily make the move to the new dates in August for the Bemidji insurance CE classes. Phew! Another good sign that we could actually get Bemidji to move. Two agents, very loyal class participants, had a problem with the Bemidji move. I didn't want to pull rank and force Bemidji to move. I wanted this to work for everyone. In the end, due to a few concessions, all the agent's found a class either in Bemidji or another location that worked out for them--for some the new dates worked better than before. That's right, we did it! Our Bemidji class dates moved from July to August 15 & 16. To those agents who were willing to make the move, even sacrificing a bit to do so, both my daughter and I thank you. Because of you, we were able to make this glorious summer plan work out, and I couldn't be more excited to still have an opportunity to see you and have my full birthday adventure. To those insurance professionals who have not yet selected a location or date to attend a Bryan Ventures insurance CE class, maybe the NEW Bemidji dates of August 15 & 16 might now work better for you. Please keep in mind, Wisconsin agents can get insurance continuing education credits at Minnesota locations so cross the border and check out the natural beauty that exists just to your west. To that end, we have LOTS of great locations to check out throughout Minnesota and western Wisconsin: DULUTH, BRAINERD, ALEXANDRIA, LA CROSSE, GRANITE FALLS, DETROIT LAKES, and other great LIVE INSURANCE CE LOCATIONS. Venice. 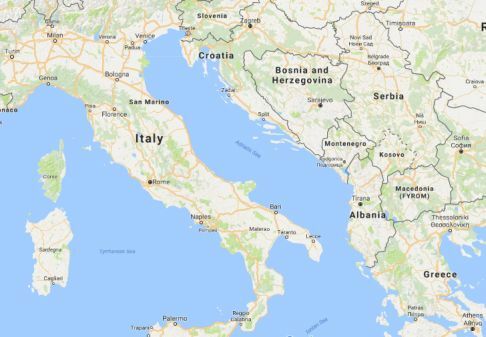 From there, I plan to visit Croatia as well as travel south to Greece before taking a boat across the Mediterranean so I can also see Naples and Piza before completing the round trip (literally) back to Rome. If you have any travel advice for me, please email me. I'd love to hear about things I should do and see, and also, maybe avoid. This is my first European adventure and would love as much insight as I can get. I arrive back in the States August 11, just in time to pack up my daughter and head north to get her organized at college for another year. Once she is situated, I'll head over to Bemidji to spend some time with my son and to teach our insurance CE classes at Ruttger's Birchmont Lodge. This really couldn't have worked out better. Now I'll spend a glorious week up north seeing both my kids as well as the insurance agents I've come to know and love. If you can, come join us in one of our INSURANCE CONTINUING EDUCATION CLASSES so I can tell you more about how Bryan Ventures got Bemidji to move.